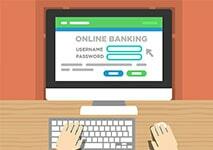 Bank transfer is the oldest and one of the most trusted ways to transfer money from one bank account to another. It is a widely used method for paying for a vast range of services and products, and for transferring money between individuals or entities. As bank transfers have not changed and become modernized much over the years, they require time to be processed and for this reason, are losing their popularity. However, they are still used for making payments at online casinos despite the rise of multiple faster and more convenient financial products such as credit and debit cards, e-wallets, and many more. Bank transfers, also known as credit transfers, wire transfers, or electronic fund transfers (EFTs), are available to gamblers in all countries and almost all casinos, off and online. Often, they are offered as a withdrawal option, but not as a deposit method. Still, most well established web-based gambling operators accept bank transfers as a deposit method in order to provide a wider choice of options to players with different monetary resources. Gamblers interested in funding their online casino balances by bank transfers need to take into account that this method is probably the most time-consuming. They will need to wait from 1 to 5 business days for their money to be accepted by the casino and appear in their online accounts. On the other hand, wire transfers offer security and are ideal for players who are concerned about disclosing their personal or financial information on the Internet. They are a widely used alternative for online gamblers who do not possess credit cards, as well. Compared to newer and faster payment methods, bank or wire transfers are a well-known, long-established option to pay for a service or send money to an individual around the world. When making deposits at online casinos, however, players need to take into consideration all the benefits and disadvantages of bank transfers. A bank transfer represents the electronic transfer from the payer’s bank account to the bank account of the recipient, or the payee. It can be completed via phone banking, via Internet – through online banking services, or by physically depositing money at a bank or a cash office. Gamblers who choose bank transfers to make deposits at online casinos need to be aware that even after an order and a payment are made, the processing of the transfer may take a few days to complete. In fact, it usually takes about 5 business days and even more if the transaction includes transferring funds internationally. The only exception is the so called Instant Bank Transfer, which is usually completed within minutes, but it is limited to particular countries and banking institutions. Additionally, there are usually fees involved. Depending on your bank of choice and the bank of the casino you have picked, those can be insignificant or quite substantial. Contact the banks involved in the transaction beforehand, so that you do not end up unpleasantly surprised. In order to make a successful bank transfer, the individual or entity need to order the bank to transfer, or “send”, a certain amount of money to the payee. To identify the payee, the bank needs two crucial codes – the BIC of the payee’s banking institution and an accurate IBAN. The unique BIC code (Business Identifier Code) is also known as SWIFT code or SWIFT ID and is used globally to identify financial and banking institutions. The IBAN, or International Bank Account Number, represents a globally recognized system for identifying bank accounts and consists of up to 32 characters. When you fill in the form at your bank or online, you will need to enter your name, address, and birth date, as well all available information about the receiver. When making a deposit to an online casino, this will include entity name, country, BIC and IBAN. You will need to specify the amount of funds you wish to deposit, as well as the reason for making the transaction. In this case, players need to note that they are making a deposit to their online casino accounts. In some instances, you will be required to specify the deposit with a particular code, as well – if needed, the casino will provide the code for a “Deposit”. Then, the bank of the payer needs to verify the provided data and once it is verified, it contacts the bank of the payee. This bank also needs to carefully verify all transaction data, which can take another one or two business days. If the transaction is approved, the money will then be electronically transferred from the payer’s to the payee’s account. The bank transfer processing time may differ, depending on the banking institutions and which country they are based in. Typically, the transaction will take 3 to 5 business days, but if the player has made even the slightest mistake, when filling in the form, it may take up to few weeks. 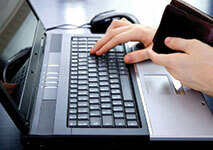 Some online gambling providers offer instant bank transfers as one of the payment methods available on their websites. As the name indicates, this is an instant transfer of funds between bank accounts, usually online and usually via third-party digital service providers such as Trustly, Giropay, PayPal, and others. The transactions are carried out immediately, so players can see their money transferred to their online casino accounts within seconds. Using a third-party e-payment service offers further level of security, as no personal or online banking information is disclosed at the online casino. 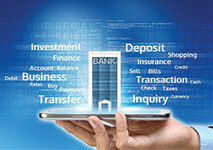 However, instant bank transfers are offered by few banking institutions. They are offered by even fewer casinos. Usually, bank transfers do not mix with the word ‘instant’. It is important to note, though, that the systems currently in place are undergoing changes. Within the next few years truly instant international bank transfers are supposed to be a reality. Despite the slower processing of bank transfers, compared to other methods such as credit/debit cards or e-wallets, they are still used by many gamblers as a deposit option. 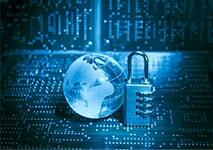 They offer high levels of security and the opportunity to deposit large amounts of funds. In order to use this option to fund your online casino account, you need to visit the Payment or Cashier page at the casino, and choose “Bank Transfer” from the list of deposit methods available. Then, you will be redirected to a page where you will be provided with the bank account details of the casino, as well as with any specific requirements the provider may have regarding the deposit order form that needs to be filled. Whether in your local bank office, or online, you will need to enter your personal and financial information, as well as the casino’s data, including both parties’ IBANs and BIC codes in the transfer form. The Cashier page can also redirect you to a list of available banking institutions in your country. In this case, you can choose your bank and proceed to a secured link where you can log into your online banking account. The next steps are the same – you fill in the casino’s data, and then, you enter the amount of money you wish to deposit. In addition, bank transfers allow players to choose their preferred currency. You can make the deposit in USD and then the funds will be converted in the currency you have chosen in your online casino account. After you confirm the transaction, you can expect a confirmation email from the casino. The casino will send you an identification code for the transfer. Note that this is not a verification number, but a code that can be used to check the status of the transaction, whether it is accepted and carried out, or not. The transfer will take several days to complete and in some cases, it may take more than a week. Such cases occur when transferring funds internationally. In most cases, if you are transferring funds within a country, the time elapsed will be less. Sometimes there are other factors that affect the speed of your bank transfer, like whether the account you are transferring to or from is located within the EU or not. Bank transfers are accepted by almost all online casinos as a withdrawal option. The procedure is the same as making a deposit – at the Cashier page, choose “Bank Transfer” as a withdrawal option. Then proceed to your online banking account or write down the financial data, available for the casino, and use it to make the withdrawal at your local bank. Those fees can go from a small percentage to a fairly large one. Usually, banks are not obligated to notify you of that fee, so they just take it from the sum you have received. If you decide to withdraw your online casino winnings with this method, check with your bank to make sure you are okay with the fee they will impose. You will first need to wait for the casino to authenticate you. Then, you will have to wait for the casino to process your withdrawal request. Then, you will need to wait for the transaction itself to take place, which can take up to 10 days to complete. Withdrawing your winnings with this method will take at least two business days and will be most probably charged a processing fee by your banking institution. 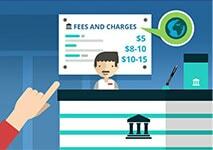 Wire transfers are usually charged substantial end fees by the banks, which is a serious issue for most players. The amount of the fee is individual for each bank, but it can also vary, depending on whether the transfer is international or not, or sometimes, it will be a percentage of the deposit you are making. Typically, topping their account may cost players between $10 and $40. This depends highly on their location and bank of choice. In some banks the fee may be fixed while in others it may be a percentage of the sum. One of the top reasons for using bank transfers as a payment method for online gambling is that typically, this method allows for large amounts of money to be deposited with a single transaction. The same is true for withdrawals. The limit for depositing and withdrawal will also depend on the specific conditions of the particular bank. Using bank transfers as a payment method at online casinos is one of the safest ways to fund your online gambling account and to receive your winnings. Online banking, as well as most reputable online casinos are protected by SSL encryption, which guarantees all entered personal and financial information is kept private. Besides, the risk of fraud or identity theft when making a deposit at a local bank office is near zero. With that said, such cases are not unheard of. You need to make sure that the online casino you have picked is entirely legitimate and you have the right IBAN and BIC/SWIFT codes. If even one digit is messed up, any of the banks responsible for the transfer may freeze your account in suspicion of identity theft or fraud. Other than that, you have nothing to worry about when it comes to security. After all, you are using your bank of choice to carry out the transaction. Of course, it is always good to make sure that the bank of the online casino you have picked is also good. A security issue that remains unsolved is that if you send a wire to a cash office and to a person that you do not know well enough, you will most likely end up with that cash stolen and no goods or services received. This is why if your casino of choice is asking for that type of transfer, it is good to double check if that is truly the way they conduct bank transfers because you might be getting ripped off. However, if you simply make sure you have the right details, there is no safer way to pay. That is because the casino’s servers do not actually save your banking details this way. While card details are almost always automatically saved, bank account details are absolutely never saved. Therefore, they are utterly inaccessible. It is a fact that you also need more information when using a bank account as opposed to when using a credit or debit card. Therefore, it is harder for someone to steal it. One of the major benefits of using bank transfers as a payment method at online casinos is that players do not need to have a bank account to order a payment. Once you have the casino’s banking details (the BIC and the IBAN) you can proceed with making your deposit. Wire transfers are available to anyone who wishes to gamble online – the method is accepted by almost all casinos and is a legitimate option in all countries around the world. Another advantage of this method is that it is relatively simple – although players may be required to provide a detailed information about themselves when filling the transfer form, most of them are already well-acquainted with the process. Bank transfers are also incredibly safe and most casinos offer increased limits for this payment method. It is convenient for players that currencies are converted automatically according to the bank’s exchange rate on the day of the deposit. Another advantage of bank transfers is that if they are available for deposits, they will definitely be available for withdrawals as well. This means that players can deposit and withdraw using the same method which is not the case with other more ‘classic’ methods, for example – you can usually use Mastercard to deposit but not to withdraw funds. Although bank transfer is among the oldest methods for paying for a service, it is also one of the slowest ones. The bank transfer processing times – from 1 to 5 business days, make this a less favorable option, especially for players who wish to play on the same day or withdraw their winnings fast. The process may be delayed by making even the slightest error when entering the casino’s financial data. It is recommended that you check with your bank to make sure you are fully aware of all applicable fees, especially given the fact that sometimes the fees reach up to (and even over) $30 and the minimum withdrawal sum is around that much. Another disadvantage of using this method to deposit funds is that there is virtually no chance of getting a chargeback. Once the money is out of your account and fees have been deducted, there is almost never a possibility of reversing all of that. Many players prefer other deposit methods over bank transfers, because of the fees that are applicable in almost all cases. Many online gamblers use modern payment methods such as credit and debit cards, e-wallets, and prepaid cards to top up their casino balances. Newer financial products are often faster and more convenient, but bank transfers remain one of the safest options, whether in online or land-based casinos. Players who choose to make a wire transfer when depositing at online casinos can also take advantage of the opportunity to transfer larger sums in one transaction. This shows that bank transfers are especially suitable for high rollers. If you are playing with large sums this method is suitable for you, however, if you do not, make sure the applicable fees are not too high.